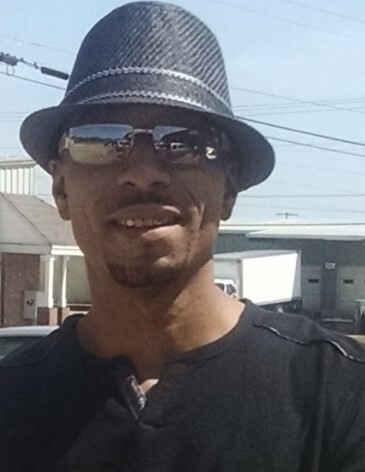 Chelsie Orlando "Whoop" Brown, 43 of Indianapolis, IN / Tupelo, MS passed away Friday, February 1, 2019 at North MS Medical Center in Tupelo, MS. His services will be held on Saturday, February 9, 2019 at 1 pm at Kingdom Takers International Ministries. Wake services will be held on Friday, February 8, 2019 from 5-7 pm at Kingdom Takers International Ministries. He is preceded in death by his mother, Katherine Brown; his grandmothers, Armie Sykes and Roberta Brown; his grandfather, Cleveland Brown; and a host of aunts, uncles, etc. He leaves to cherish his loving memories, his wife, Addie Anita Robinson-Brown of Indianapolis, IN; his father, Chelsie Donell Brown of West Point, MS; three children: Addistasia Dillard, Bethanie Dillard, and Cayleigh Dillard; five sisters: Catresia Jones, Jazzmeka Dilworth (Marcus), Thomasina Dixon (Tremaine) all of Tupelo, MS; Nicole Alston, and Farren Brooks both from Chicago, IL; two brothers: Chelsie Alston of Chicago, IL and Jackie Jones (Michelle) of Indianapolis, IN; ten nieces, seven nephews, three great nieces, one nephew, and a host of aunts, uncles, etc.